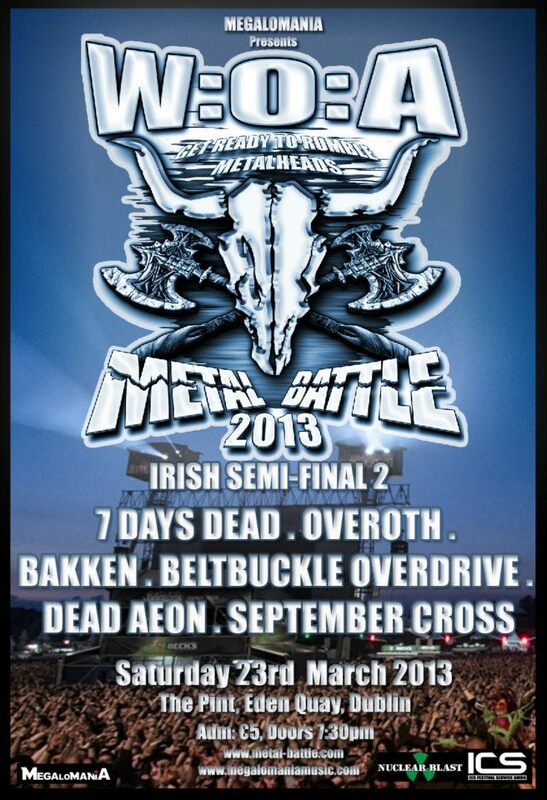 This weekend Overoth, Bakken and 7 Days Dead will compete head to head alongside Beltbuckle Overdrive, Dead Aeon and September Cross for a place in the Wacken Battle Ireland Final. The semi-final will take place on Saturday 23rd March at The Pint in Dublin, Ireland. The Wacken Metal Battle Ireland gives unsigned bands from Ireland the chance to win a slot at the biggest heavy metal festival in the world Wacken Open Air as well as a shot at winning a record contract with the world’s biggest independent metal label Nuclear Blast Records.